The modern American culture has swerved so far away from the 7-millennium long traditional family-centered culture to the current career-centered culture that young women are virtually forced by cultural pressure to pursue a career as a higher priority than the family. Some have claimed it is possible to have it both ways. The reality is that more and more women are discovering that by definition there can only be one priority. If the priority is career, the family will suffer now and later. Many women would genuinely prefer to be a homemaker. But those who are brave enough to face the wolfish cultural pressure may be confronted by another barrier closer to home. Today, many married men presumptively expect their wives to have a money-earning job outside the home. God views the entirety of history as a continuum from Creation through the coming of the Messiah. He sees a holistic master portrait. That portrait includes a seamless parade of generations, each receiving the baton of civilization from the previous generation and passing it on to the next generation. At least that is His intent. The woman as wife and mother is the link between generations. She learns from the previous generation, primarily from her mother, gives birth to the next generation, and is primarily responsible for nurturing and raising the next generation to become men and women of strong character, capable of carrying the baton of civilization onward to the following generation. She is ultimately responsible for the cohesiveness of the family and the sustainability of the culture. Visualize the disconnect as a seamless hand-knit sweater. When a single piece of yarn is broken, a slight tug causes the entire sweater to unravel. Similarly, the entire fabric of America unravels and is rapidly unraveling today when the family link in time is broken. Wow! That’s heavy; think about it for a few moments. The greatest expression of love between a married man and woman is the birth of a child. New parents often cry out, “It’s a miracle from God!” and so it is. The child remains every bit as much a miracle at ages 2, 5, 10, 16 or beyond. The miracle child is on loan from God throughout the growing years. God has assigned the enormous responsibility to the parents, primarily the mother, to care for and raise His created miracle to become an adult of strong character who will continue to honor God and pass along an improved baton to the following generation. How could anything be a higher priority? Since childhood, my wife’s greatest longing was to be a wife and a mother. She worked during our early years of marriage by choice and as a way of participating in ministry, but it was always our plan for her to be a full-time homemaker once we started having children. I see her shine in that role and my children have flourished as a direct result! Scott, that is a fantastic personal story. What may be viewed as unusual today was the norm only a few decades ago. As indicated in my blog, the stability of the family and the sustainability of a culture passes through the women of successive generations. Nothing could be more important than that; however, it’s a concept lost on many Americans today. The condition of the American culture and the family today doesn’t simply differ from the previous generation; it differs substantially from the norm for 7,000 years of recorded history in most cultures around the world. Are we somehow to suppose that we are wiser than most everyone who has ever lived? Are we wiser than God? If the answer is a compelling “No,” then we have some serious food for thought. What do you think? I am not a mother. I am a wife. Being a stay-at-home wife when you are not a mother is not easy. Society in general expects me to have a job since I don’t have children at home. They don’t understand or respect the fact that this is mine and my husbands choice. They don’t understand or want to understand that this is where I feel God has called me to be. So I thank you. Thank you for telling people that being a wife and a homemaker is a calling. It is not a secondary calling to having a career, or a secondary calling to being a mother. Eve was a wife before she was a mother and she was no less important when she was not a mother. I am busy with my homemaking skills and tasks from seven in the morning until late in the evening. I have seen how my husband is less stressed when I am at home taking care of our home and preparing it to be a place of rest for him. He works so hard to provide this for us and it is my duty and calling to make this home the best home that it can be. Thank you again. Praise to you, Katie. Being a homemaker not only is a career, it is the most important career in the universe. G.K. Chesterton observed that a woman is virtually omnipotent in her own home; why would she want to become a slave to a stranger (boss in the workplace). In a movie made in India, a group of young women were having a discussion. The apparent leader who appeared a bit more mature looked at the group knowingly and said that the men can wield there power elsewhere, “but we know that we can crush a man with a look or melt him with a touch. Now that’s real power.” What do you think? I am a stay at home wife and mother. I have been since I got pregnant in high school (we got married and have been together since). I tried working once it lasted 6 months, I hated every minute of it, I got severe depression, All my pay check went on child care or fast food/quick meals, my marriage went down hill as we fought over whose turn it was to wash dishes, do laundry etc. The worst part was I had to ask my child care provider, when did my children last sleep, what did or did they not eat, etc. I hated every minute of it. I wanted out, I cried and I prayed. Then there was a mix up in my wages, turned out I was being over paid, they cut my pay and I quit. We struggle at times financially, but God has ALWAYS provided. He has always got us through tough times. Even if its only just. It is enough to keep me home. I will work from home (hopefully) once my youngest is of school age, but that is only if I feel I have time outside my normal duties. I love my life, hubby loves what I do and how it allows him less stress and work freedom. The kids love me being home. The fact that I am here for them no matter the time of day, means the world to my family. There’s no: “Mummy is at work sorry” It is yes I can. Thanks for the awesome personal illustration, Bec. It is repeated many times, but the experiences rarely get any media coverage. Your lifestyle has been the norm for 7,000 years in nearly all cultures. It is only in modern American that women have been ridiculed for choosing to become a homemaker. There are three blog messages on the topic. Be sure to read all three. Click on the red folder icon at the upper left corner of the screen. It will expand the navigation pane. Scroll down the list of categories and click on “Homemaker.” You’ll see all three messages together. In recent years, accountants have calculated the cost of a second wage earner in a family. They found, considering all the direct and indirect costs, that in a 2-child family, the homemaker working outside the family would have to earn $60,000.00 per year to breakeven. That means that if she finds a job paying $65,000.00 per year, she is effectively working fulltime year-around for only a meager $5,000.00. Is it worth it? No, especially because the accountant’s calculation does not include the cost of the negative impact on the children. What do you think? I’m using WordPress.com. It’s free. WordPress.org has more features, but there is a charge for it. Thank you. 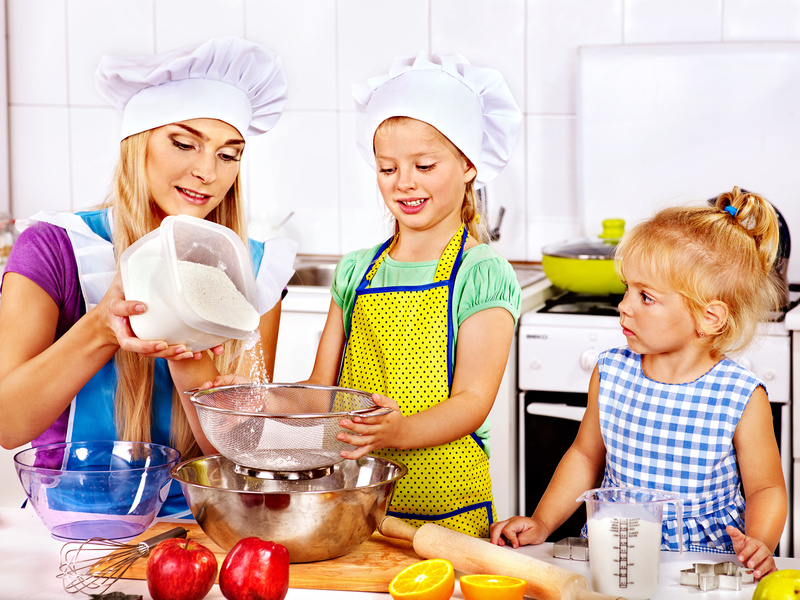 The vital importance of the homemaker has been lost on much of our modern American culture. No civilization, culture, or nation has ever survived the breakdown of the family. The homemaker is the power (source of love) and the center of the family. I find articles like the ones you write and comments like this very encouraging. I hope you will notice, if you haven’t already, the writer of the other reblogs on my site K.Q. Duane. She has a similar stance and strong faith as yours, I believe you would enjoy her work as well. Neither my husband nor I grew up in stable homes. However by my determination, and his loving patience and forgiveness we are making this traditional arrangement work. I try to encourage my friends to stay home and that it is biblical, but they think what I am saying is foolish. They say Paul was talking to the unruly women in Titus and not to women today when he said be chaste, good , keepers at home. Do you have any insights on this? I was very hurt by these remarks, but not convinced to give up my post. They think I am saying it is unbiblical for a woman to work or earn money, and I’m not saying that at all. what I am saying is that earning money as the woman should not be priority over children, home, husband. Am I right? If your children are under 4 and baby sat, your house is a wreck and husband underfed, then I believe you have to reorder your priorities. Thank you, I appreciate any insight you may have on this matter. Today, a woman can do anything she chooses. However, for a Judeo-Christian believer, it’s important to choose God’s priorities. That choice may be between you and God, but the eternal bottom line is that family is always more important than career. I’ve seen young women who are adamant about their careers until they become pregnant. Throughout the nine months of pregnancy their views change. Then on the big day, they hold their baby in their arms for the first time. Almost instantly, everything changes. At that moment, they understand the power and importance of family like never before. Regretfully, the American culture has, in the last 50 years, migrated from a family-centered culture to a career-centered culture, with tragic results. The change has caused our culture to move from “others first” (godly character) to “me first (humanist, ungodly, evil character). Personally, I’ve known of woman lawyers who have given up the practice of law, at least during the child raising years. Law is certainly a high-end profession, but life is a matter of priorities. With nearly infinite demands on our time and treasure, it’s up to us to make direct affirmative decisions in favor of growing in godly character. On the other end, accountants have calculated that for the second wage earner (usually the woman) in a family with two children to break even, she must make at least $60,000.00 per year. That sum includes all the direct and indirect costs associated with working outside the home. Consider a position that pays $65,000.00 per year. She is working 40 hours per week, 50 weeks per year for only $5000 per year ($65,000 – $60,000 = $5,000). She is giving up virtual omnipotence in her home in order to become a slave to her boss for only $5,000 per year. She is giving her best, most productive, and most creative time to her employer, comes home exhausted, stumbles through a few inescapable household chores and has only drips and drabs of leftover time for her husband and children. Consider that the birth of a child is miracle from God. It is His incomparable gift to us. He even gives us the awesome privilege of participating not just in conceiving the child, but participating in the creation of a new soul who did not previously exist and will live for eternity. What we do with God’s miracle is our gift to God. One day, we’ll each face Him. He may well say, “I can hardly wait to hear what you did with my miracle!” What will YOU say? As parents, our highest priority is developing godly character in our children. The challenges of child rearing and dealing with their occasional rebellion develops godly character in us. The family is the boot camp that develop strong character in both the children and the parents as the experiences prepare us for dealing with issues outside the family. As they use to say in the old Westerns, “Circle the wagons!” It’s my spouse, me, and the children against the universe. Thank Heavens, God is there to help us. Otherwise, the circles wagons would be easily breached by the relentless sinful forces of our modern culture. My oldest daughter is a fulltime homemaker. She is home schooling her three children and loves it. No one is busier than she is. But her demeanor and voice always seem to communicate that idea that God is absorbing all the stress of her life. He calmness is her testimony. Sidebar: If just finished watching a movie made in Bollywood, India called, “Khabi Khushi Khabie Gham.” It’s an incredible movie about family love that is available on Netflix. Of course you may have to read the subtitles like I do, because I don’t speak their language. But it is not a problem. Everything about the movie is amazingly beautiful. Keep the tissues nearby. Hollywood could not make such a movie. They wouldn’t know how. Let me know what you think. Cool, would love to check it out! What a thoughtful and heartfelt reply! It all comes back to the money. Ouch! There was only one paragraph about money. What do you think? My apologies for Making it seem like that’s the only vital thing mentioned , because it’s not. Young women and men all over are in dire need of this teaching and biblical example. I was simply repeating what my friend and mentor shared with me recently once I told her how my friend reacted to my encouragement to stay home.These women with careers are in it for the money. If they are not going to get a paycheck then would they work? What if homemaker was a paid position? Women would be flocking home, and perhaps new school men would be more supportive of that career choice. This is not directed towards single people as some sort of attack, just an observation about married persons. Great teaching. Actually, I was joking. I do appreciate your comments. If you look at what your friends are telling you, they are essentially saying that a paycheck is more important than their child or children. They probably haven’t thought of it that way. A gentle reminder may provide some heavy food for thought. What do you think? You got me good! I’m embarrassed. 🙂 I will consider using that seed. I have a heart to teach this stuff, but at the same time, I am still trying to sink my roots in to this principle myself. I don’t like being challenged just yet. My extended family/ friend relationships need strengthening and challenging them in their beliefs ( I am learning) is more polarizing than endearing. lol Perhaps I can drop hints in such a way that is unchallenging? People are not easily persuaded by logic or argument. Often it’s better to ask questions that allow them to draw their own conclusions in a godly direction. Inspiration beats perspiration! Alternatively, share a movie. Hallmark produced an awesome movie entitled, “Though None Go With Me.” It’s the life story of a woman, a bit rebellious as a teenager, who chooses, early in the movie, to do the right thing, regardless of the cost. The lead is played by Cheryl Ladd (formerly of Charlie’s Angels). The movie is powerful and heartwarming. I’m sure it’s available on Amazon.com. Don’t miss it! You’ll want to share it often. Great tips! I will note this movie. The other Bollywood movie presented some really strong family values I just haven’t been able to locate it on Netflix. YouTube shows the first 10 minutes with translations, after that it’s a different language. I’ll get it though! 🙂 I’ve enjoyed talking with you, see you next post! On Netflix, use the Search feature to find the movie, by title. Alternatively, search for one of the stars such as Shah Rukh Khan. It will bring up several of his movies, including the one you are seeking. BTW, any of his movies is outstanding. Great! Now, look for Jab Tak Hai Jaan. You’ll like it even better. The first and last third takes place in London. The middle third is in India. It’s a love story that could not be made in Hollywood. They just would not understand. It’s fun to watch. Let me know what you think? It’s one of the best love stories ever put on the big screen! Dr. Dr. I have a question. As a man of God What do you think about a husband and wife who have decided to stay together after the husband has had affairs that resulted in children? The husband would love nothing more than for all his children to dwell under the same roof, but his wife has fears and reservations. She isn’t saying No but she is excitedly saying yes bring the children over. How should s g E respond when the husband assures the child’s mother it is ok to let the child stay for an extended period of time without any discussion with the wife other than to let her know he will be coming soon. Any insight on this Dr? And Thanks for considering. Good questions. I admire the wife’s willingness to forgive her husband, despite his unfaithfulness. He owe’s her big time. Her forgiveness assures that the children of the husband/wife will continue to have both biological parents. Biblically, Hosea continued to forgive and retrieve Gomer, despite her frequent and flagrant unfaithfulness even though they had no children. The children are half brothers or sisters and should have the opportunity of knowing each other. However, bringing the outside child into the home, essentially as part of the family, requires a unanimous parental decision and all children must be loved and disciplined equally. It’s simple, but hard, at least at the beginning. If the wife has truly forgiven her husband, the love and forgiveness must extend to the outside child who is the innocent result of the father’s unfaithfulness. A child should not have to pay a price for a parent’s wrongdoing. Also, the two women must get together and resolve any tension or anxiety between them. Communications break down with possible negative consequences, if the women only communicate through the man. In terms of overcoming very difficult circumstances, watch the Bollywood movie, “We Are Family” on Netflix. You’ll love it. Keep the tissues handy! You may recognize the story line of “We Are Family” as similar to an American movie made in the late 1990s. but the Indian movie is far superior. Yes I enjoyed Stepmom, I’m watching it now I’m starting to see why you say this one’s better..he went back to his family!! It’s not Over yet. Let me know what you think when it’s over. There are some incredible lines along the way. You may have to watch it more than once–if you don’t run out of tissues. I enjoyed the ending mist. They really went all out and showed a great family moment. That bought on the tears! Another great recommend. Fnatastic! Now, have you seen, “Jab Tak Hai Jaan?” It’s the best love story ever made for the big screen. I finally watched it over the weekend. It was very touching and entertaining.